Oil and Gas Measurement Equipment, Chart Recorders and more - O.G.M.E. Rebuild your Barton Chart Recorder in days, shipped to your location! 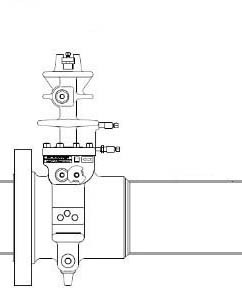 You can count on OGME for all your oil and gas measurement equipment needs. 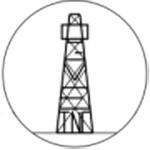 With over forty years of experience Oil & Gas Measurement Equipment Inc. is dedicated to providing high quality equipment and excellent customer service for the oil and gas industry. Being a former Barton representative, OGME specializes in manufacturing and certifying chart recorders. Looking for a Barton chart recorder? We sell an exact replica of the Barton model chart recorder 242E and 202E chart recorder, with all parts being interchangeable. If you can only accept a Barton model recorder we can provide a reconditioned Barton chart recorder unit at a reduced cost. We carry a large inventory of parts to repair your Barton chart recorder in our NIST traceable calibration lab. We can also provide you with one of our new OGME chart recorders, which are an exact replica recorder of the Barton chart recorder, with all parts being interchangeable. Repairs and calibrations take about 2 to 5 days and a new or reconditioned chart recorder takes about 5 to 10 days, and we can ship to your location anywhere in the world and we will strive to meet or exceed your expectations. Whether you want to repair your chart recorder or you want to replace with a new or reconditioned chart recorder we have the capabilities to satisfy your needs. Please call one of our experienced sales associates today to discuss what best suits your company. OGME specializes in chart recorders and chart recorder repairs but we do offer a breadth of products for the measurement of both liquids and gas. We can provide you with all parts necessary to rebuild your Daniel Senior Fitting including New Style (14.3) Plate Carriers and Seal rings, (Nitrile, Viton and Teflon). We also carry in stock universal orifice plates for your Daniel Senior Fitting as well as the Old Style (AGA-3) seal rings (Nitrile, Viton and Teflon). Check out the products section of our website for a full list of products available to you, most of which we carry in stock. Oil & Gas Measurement Equipment Inc. has the task ahead of earning your trust, and when given the opportunity, we promise to exceed all expectations. Please call or email one of our fully qualified and experienced sales associates today for your quote. Please remember OGME for all of your measurement needs. ALL SPARE PARTS AVAILABLE ARE INTERCHANGEABLE WITH YOUR BARTON CHART RECORDER OR YOUR DANIEL SENIOR FITTING! WE ALSO BUY YOUR SURPLUS BARTON INVENTORY!